The dining room is such an important part of the home, it’s a place where families gather for delicious meals after a long day. It’s the place where most of us start our day with a breakfast, so why not surround yourself with beautiful and comfortable furniture? We all want the quality and comfort, but especially, we all crave functionality! 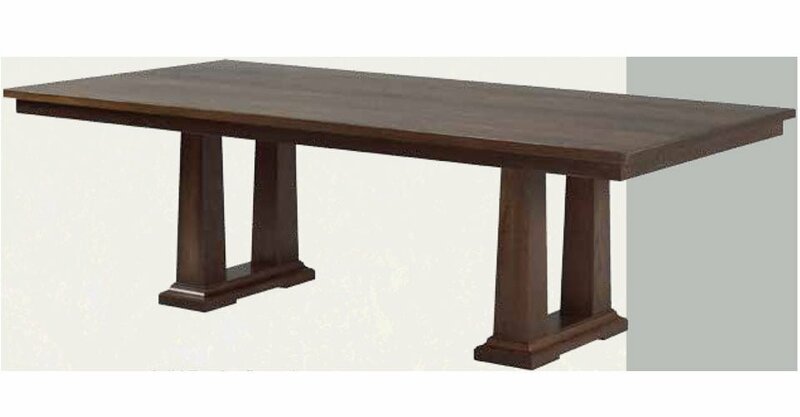 We love having that balance when creating our furniture pieces, so let’s talk about how you can create that in your dining room! A few essentials to think about are seating, storage and design. Having a good amount of seating options is key to create flow in your dining space. We love creating multiple areas where our family and friends can sit comfortably and enjoy their time. Having a generous size dining table is great to start with, also adding a beautiful kitchen island will not only create extra seating options, the island also provides a lot storage. 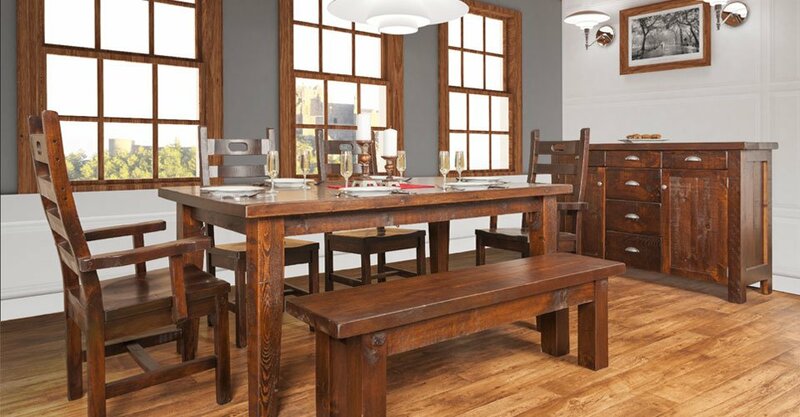 Below we’ll share our favourite rustic dining room furniture, we always provide the option to customize your own furniture by selecting the wood finish that best suits your home! 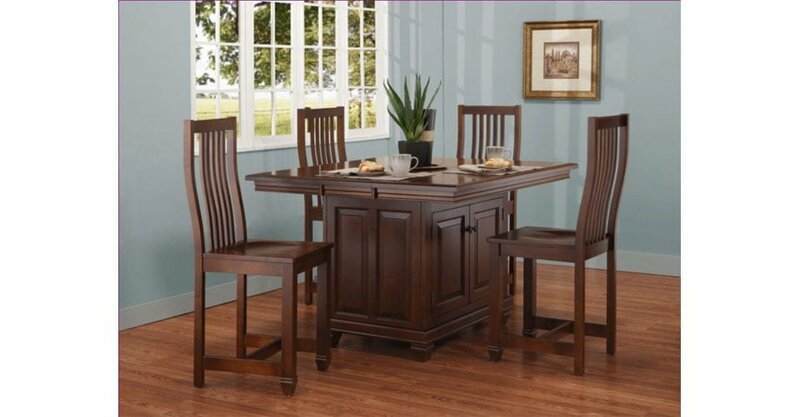 The dining table, the heart of most families to gather around, sharing memories. We love bringing character to a dining space with a generous sized table and stunning wood details! It’s a vintage inspired table that brings a uniqueness to the space. 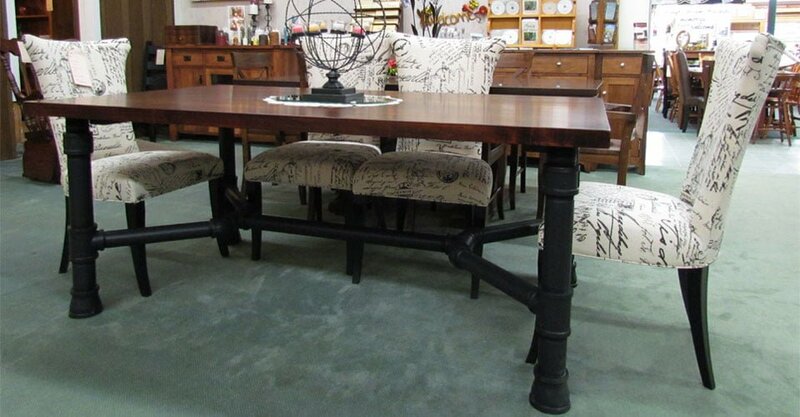 It’s a beautiful combination of rustic and industrial design, the table has thick timber and metal brackets is perfect for a bold and rustic design! It’s the perfect dreamy cottage feel table, it has a vintage flare with beautiful wood detailing! The wooden bench adds a stunning rustic touch! It’s an elegant and industrial design, it is elegant because of the colour combination and the royal parisian chairs. 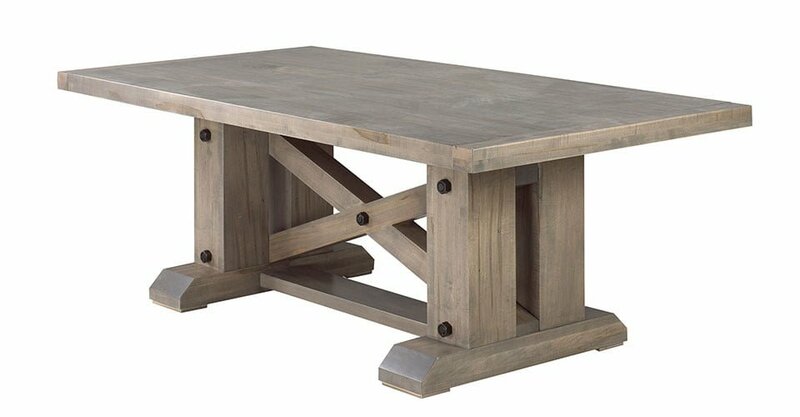 It’s the perfect balance for any elegant and rustic space! Curio’s are perfect for dining rooms, it’s a beautiful furniture to store your plates, bowls, cups etc..They are easy access and a beautiful way to display your dinning sets! 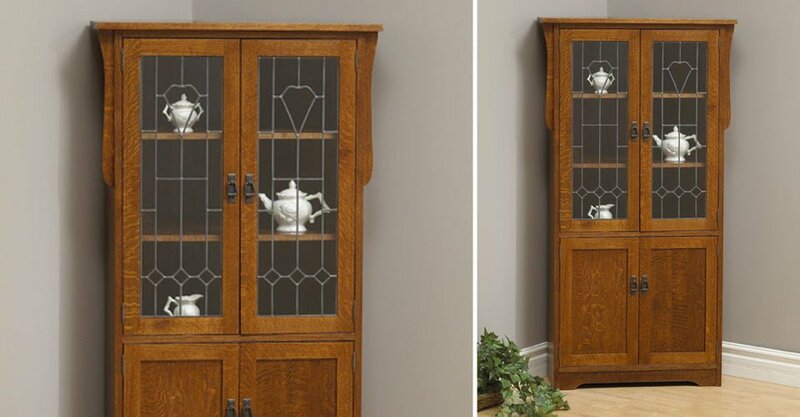 Our top favourite curio’s will add a rustic charm to any space. Because it’s a corner furniture, it will be perfect for any space that wants furniture with storage but that won’t take up a lot of space! 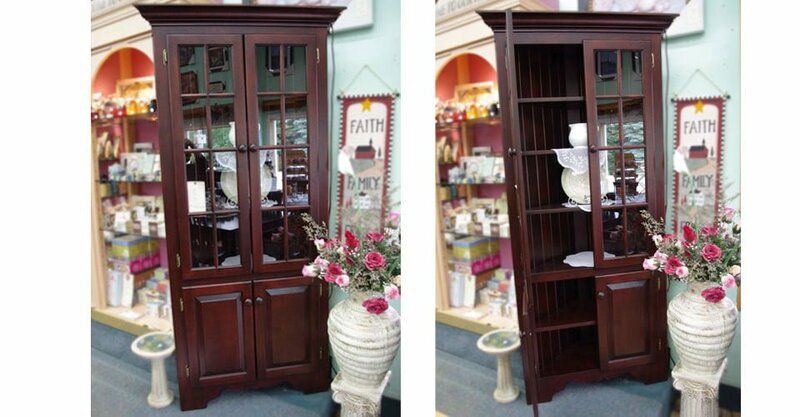 Also provides lots of storage and because of it’s beautiful clean details, this curio will add a rustic elegance to any dining space! Bar chairs are a simple and elegant way to add more functionality to the dining space, you can place them around your kitchen island or peninsula to provide comfortable seating. 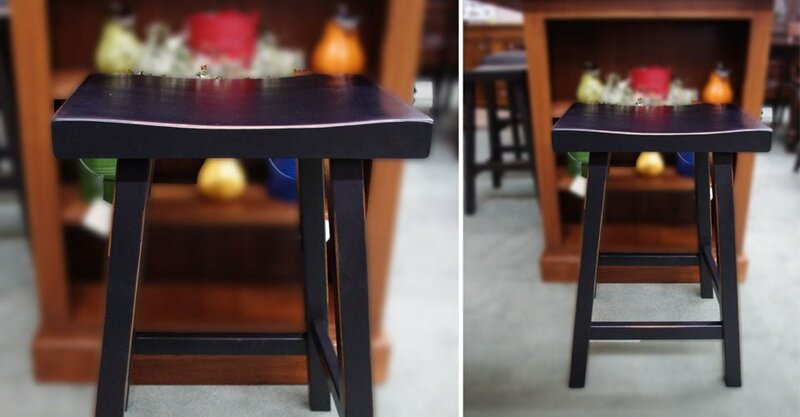 Here’s our favourite bar chair to create a cozy and rustic look! A stunning wooded island with moulding details that adds a subtle and elegant design to a dining space. We love this island for its perfect size and of course, storage!! We hope you enjoyed our favourite rustic dining room furniture and tips, feel free to share with us your tips and tricks! Also share with us your rustic spaces, we would love to see what you put together!